Rajasthan Travel Agent & Tour Operators : Offers tailormade & customised tour packages to rajasthan, rajasthan tour packages, rajasthan sand dunes, rajasthan desert safari, rajasthan forts and palaces tours, rajasthan luxury train tours, heritage on wheels, palace on wheels tours, rajasthan wildlife tours, golden triangle tour packages, leh ladakgh tours, north india tours, beaches in goa etc. 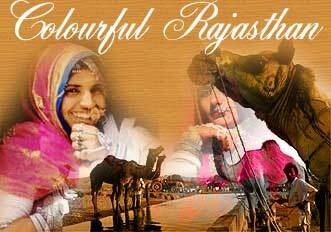 "Star Tour & Travels are committed to give more than what you expect"
Rajasthan Tours ( A Div. of Star Tour & Travels ) - Delhi based travel agency is one of the leading & oldest travel agency and tour operators in India. Star Tours and Travel is providing service to its clients for the last 16 years.They are specialized in high quality tour packages to India, Indian tours, North India Tour Packages, who has enjoyed all the aspects of tourism in India like Rajasthan Tour Packages, Golden Triangle Tour Packages, Taj Mahal Tours, Beaches Tours in India, Adventureus Jeep Safari, Kashmir Tours etc. with hotels booking and other travel related services in all over India. 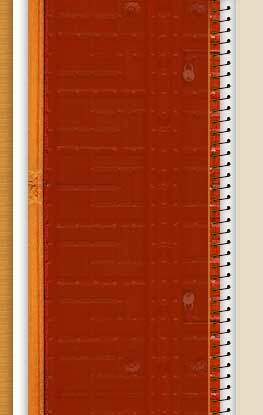 The company is headed by its CEO Mr. Pawan Mittal since year 1990. The company is also running 4 hotels in Delhi under Star Group of Hotels named : HOTEL STAR PALACE, HOTEL STAR VIEW AND HOTEL STAR PARADISE. The Company Star Tours and Travels as well as the group hotels are well recommended by all Major Travel Guide Books i.e. Lonely Planet, Rough Guide, Japanese Globetrotter Travel Guide Book, Korean Guide Book and many others. The Company believes to give best of their services with full value of Money of the Tourists. The Tourists gets full satisfaction in their tours with having personalized service by the staff. We have worked hard in on our itenerary, Tours and our Tie-ups all over India. The company provides Hotels Reservation, Package Tours, Car and Coach Rentals, Flights Reservation and all other travel related services to all over India. We also arrnge the pick up facility from the Airport and Train Stations as per customers requirement. We assure our valued Customers that they will enjoy to " EXPLORE INCREDIBLE RAJASTHAN WITH STAR TOUR & TRAVELS" which is very colorful and with Joy. Our personalized and Superior Services with economic pricing will add a Great Pleasure and sweet memories of Incredible India in the hearts of our GUESTS.